With Trump's ban blocked by courts, he'll come up with an alternative, with input from the Defense Department. With Donald Trump’s ban on military service by transgender people temporarily blocked by courts, his administration will release a new policy on trans troops February 21. A federal judge announced the news this week, as Justice Department lawyers had told him that in a challenge to the ban, they will instead be defending the new policy, BuzzFeed reports. 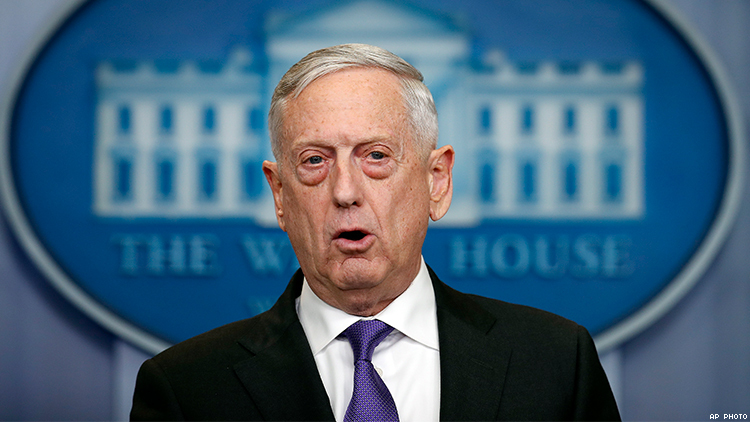 February 21 was the date set by Trump for Defense Secretary James Mattis to submit a plan for implementation of the ban. Garbis and three other federal judges have issued injunctions blocking the ban while lawsuits against it are being heard in court. The injunctions mean that trans troops currently serving could do so openly and not have to fear discharge because of their identity, and new trans recruits could begin enlisting January 1 of this year. Trump had announced reinstatement of the ban via Twitter in July, reversing the move by President Barack Obama’s administration to lift it a year earlier. Maj. David Eastburn, a Defense Department spokesman, told BuzzFeed the department would make “recommendations,” on the new policy, but its final form would be up to Trump.